On June 2nd our fellow teammate, Sami Sorid, is hosting her second Move for Mental Health charity ride. The objective is to promote mental health education and fight the stigma associated with mental illness. (1 in 5 people experience mental health issues.) The ride will also be supporting a local charity, King’s Crusade, in its goal to conquer the opioid epidemic. Please join us on June 2nd at Laurel Acres Park in Mount Laurel, NJ. For more information and to register go to moveformentalhealth.org. This is our 10th year anniversary and we have an entire year of celebrations planned for our members. Be among the first 200 new or renewing 2018 members and get an incredible deal. Join Team Evesham for only $30.00 and you will receive a $15.00 Danzeisen and Quigley gift card. Plus you will also receive a Voler credit of $10.00 for your use towards the purchase of our new 2018 10 year anniversary kit. That’s correct, you pay $30.00 but you get back $25.00* in credits. You must take advantage of these special offers by joining before April 1, 2018 and be among the first 200 members. When Team Evesham was started our goals were simple; we wanted to ride our bikes for fitness, friendship, and to be outside. We brought people together and created an enormous community, our fundraising thru-out the years has surpassed $1.6 million. But the most important thing we have done its connect people. “In life it’s not where you go, but who you ride with”. This year we will be celebrating so many great things with our team mates, watch for even more special announcements and offers in the coming weeks. Join now to take advantage of all that this year will offer. Get a $15.00 D&Q gift card in the mail with your membership stickers and card. Receive a $10.00 Voler credit. NOTE: This is a direct credit from Voler so your email address to Team Evesham and Voler must match. If you already have renewed or joined then you automatically qualified for these two promotions. Your membership will be in force until March 31, 2019. 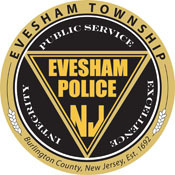 You must be a member of Team Evesham to access this page. To become a member or login please go to Join Team Evesham. 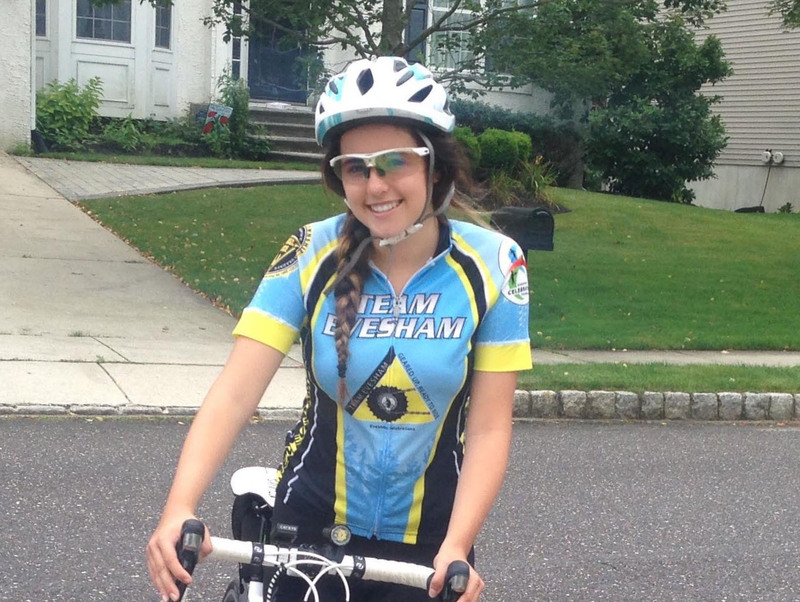 September 24-25, 2016: Register and ride with Team Evesham in the MS City to Shore. Named by Bicycling Magazine as the “Best Cycling Getaway in NJ”, the Bike MS: City to Shore Ride, starting in Cherry and end in Ocean City, promises to be the best cycling experience on the east coast. Use discount code “freedom35” for a reduced registration fee. Ride with 7,000 cyclists of all ages and cycling abilities for the challenge of your choice with several route options. 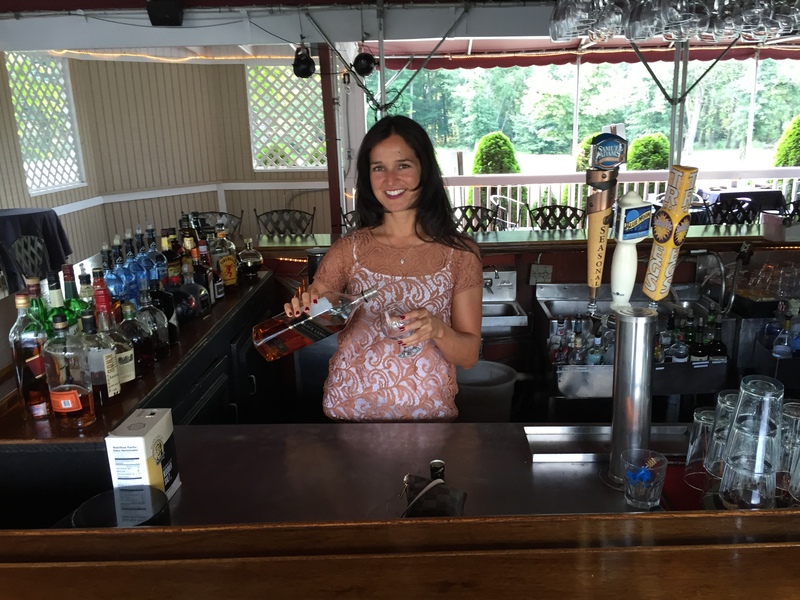 Enjoy flat terrain as you travel through the quaint towns and back roads of Southern New Jersey. 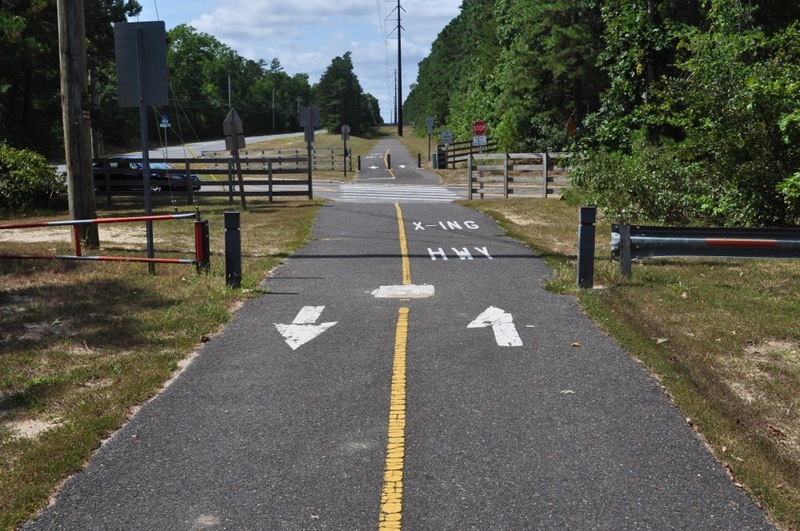 Pedal through the blueberry fields of Hammonton, experience the serene beauty of the Pine Barrens and listen to the waves as you roll into historic Ocean City. This ride is fully supported with catered rest stops, bike support and SAG transportation. Invite your family and friends to cheer as you cross the finish line and enjoy a wonderful evening stroll on the boardwalk. This is not just a ride, but an experience. The sense of accomplishment that you’ll feel as you cross the finish line can only be matched by the difference you’ll be making in the lives of people affected by MS.
On Thursday, October 1 come to Scaturro’s and join your Team Evesham City to Shore Riders for an incredible evening of mingling. Scaturro’s is a great local restaurant and they have graciously offered to host our gathering. 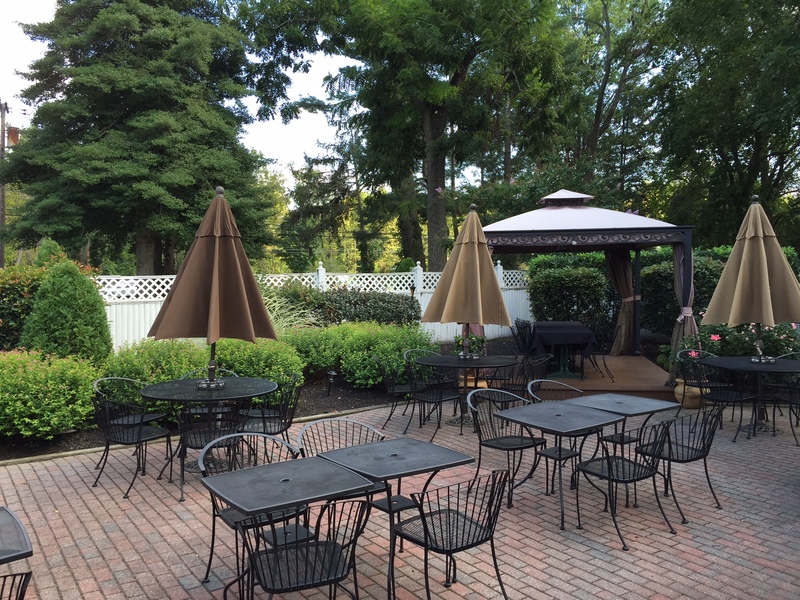 The food, the cocktails, the outdoor garden, and you, will all make for a perfect evening. 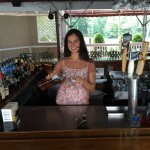 Plus we will have guest bartenders to take your drink orders at this fun event. This is an invitation only event for our team mates participating in the 2015 City to Shore bike event. 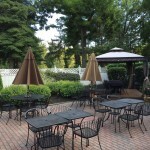 Scaturro’s is located at 841 North Route 73, in Marlton, NJ. The evening starts at 5:00 and goes until 9:00. Since we are serving food, we need you to RSVP to lori@teamevesham.org that you are coming. Be as kind as to RSVP before September 29 so we can plan accordingly. Please MS riders only. At this event you will meet representatives from the MS Society so you can turn in your money, get your rider number and have any questions answered. This is a great time saver since you will NOT have to stand in line on Saturday, October 3 to sort thru last minute details. You can also meet your fellow team mates to organize your travel down to Ocean City. 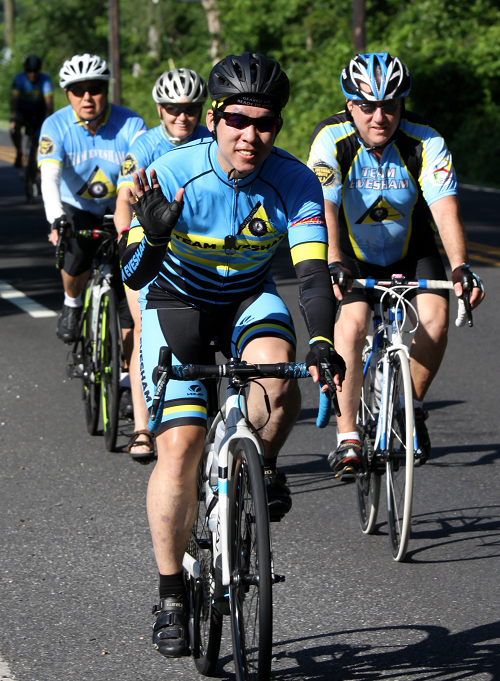 Many riders find it easier to ride with those who they know, this is a great idea, and we love to see those hundreds of blue Team Evesham jerseys too. Find out about our special “ride in” after the bridges and also what to bring along on the ride. At our Meet and Greet you will also learn about the end of ride party at the team tent in Ocean City, this is exclusively for Team Evesham riders. We have our own food and other special treats in store this year. We hope to see you all of our riders at the Meet and Greet. If you have any remaining questions about the City to Shore event just email sandys@teamevesham.org. We have heard from many of you regarding the route changes for the 2015 City to Shore MS event next month. Numerous riders questioned why the route would go on a bike path that is open to the general public. In order to address the concerns of our riders we actually went to the bike path to better understand the logistics and then we spoke to the MS Society. Our discussion was with the VP and also with the ride director of the MS Society and they refused to alter their planned course. They claimed any additional changes would only make the route longer. 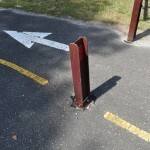 Below you will find several photos of the bike path. 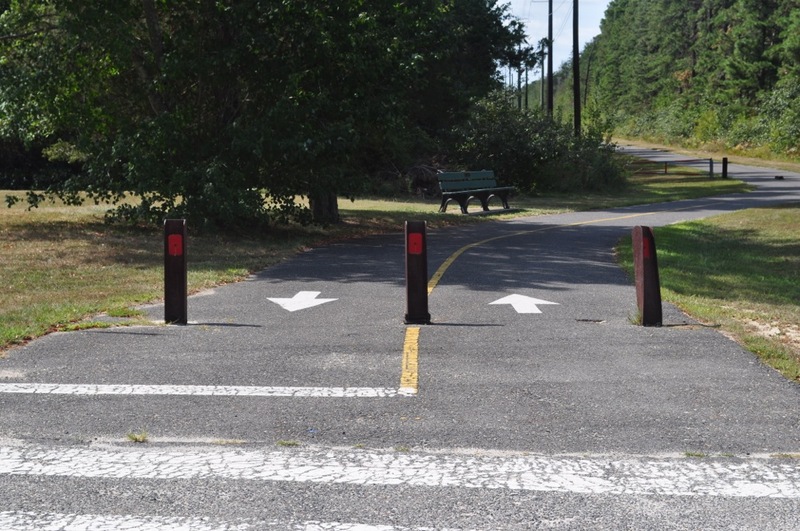 Please note there are barricades inserted into the path to keep vehicles out. Riders will have to dismount to navigate around these barriers. 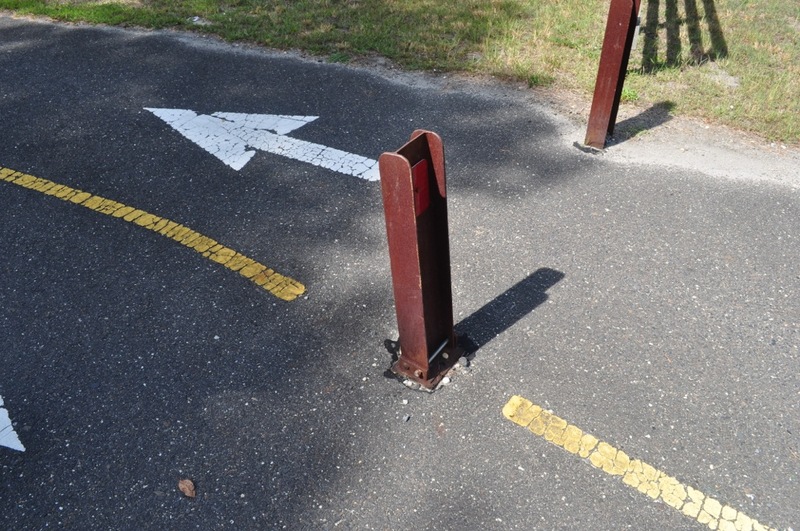 The bike path is only 10 feet wide so single file is the only option. Plus there will be recreational residents still using the path to go north. Our direction of travel is south. We are on the bike path for slightly more than 1.2 miles. The bike path is after the Davies School rest stop in Hamilton Township at about mile 56. The Hamilton Township Police will erect a cattle shoot as riders prepare to enter the bike way. All cyclists must proceed single file. There are street crossings that cyclists will need to pass at the end of the bike way to get onto Harbor Avenue. 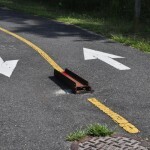 G) The MS Society will not entertian an alternative route, we had suggested that they use New York Avenue off of Route 40 to bypass the bike way. Since we have founded our team, safety has been our overwhelming concnern. For years we suggested that the American Cancer Society needed to change their route, provide a safer route and enhance the ride. This year the particapants in the ACS Bridge to the Beach event saw first hand the many improvements that were implanented. 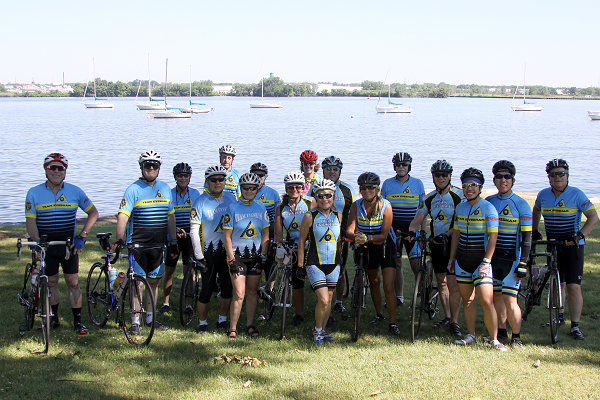 A new route was designed, a new end point was secured and the event grew dramatically both in fundraising and riders. We are concernd that this bike way detour will detract not only from safety but from the entire expereince of the event. Please know we are sending out this notice as a note of caution, you should have already received another mention of this plan from the MS Scoiety. In the words from a great commerical; “A Picture is Worth a Thousand Words”, please review the photos that John Tomasella took below. Thanks and please feel free to contact me with any additional questions. We are less than thirty days from the bike ride and I wanted to cover a few issues today. It is our intent to update you weekly on items concerning the ride. Several folks have commented to me that they are not receiving updates from the MS Society; I too discovered that these emails were going into my spam folder. These updates will replace those information “dumps” from the MS Society and I promise it will be briefer and more cogent. A) We still have a few spots remaining for Team Housing on Saturday night. Please contact lori@teamevesham.org to secure a room. Housing will close out this Friday and late registrants will be put on a waiting list. Our room arrangements are spectacular and you do not need to bring anything at all. 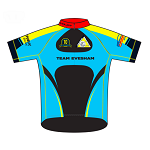 B) D&Q still has Team Evesham blue cycling jerseys in stock and more are due to arrive the week of September 28. Reserve your today. Wearing a team jersey will easily identify you so that we can secure for you the additional services for team members. 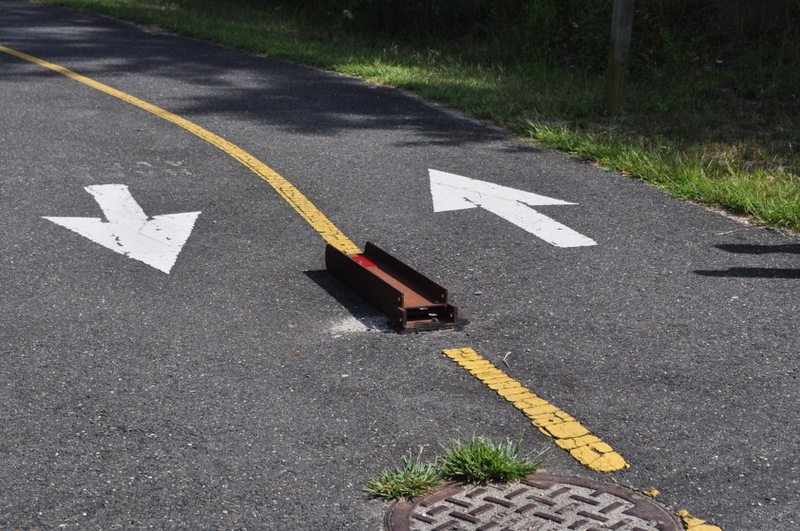 C) There is a new route detour that goes over a ten foot wide bike path. We have investigated this detour and will be speaking to the MS Society about this planned diversion. 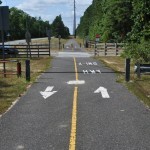 Their communication this week stated that this path would remain open to recreational user and City to shore cyclists. We have heard loud and clear from team mates that this is NOT prudent from a safety perspective. D) For those riders who plan on completing both days please advise lori@teamevesham.org that you will be returning. The MS Society is very casual about a start point for Day Two and they traditionally do not offer any support at the ride start retuning to Cherry Hill. E) You are eligible to get a bike inspection at D&Q in advance of the ride, please take advantage of this free screening this week, do not wait until the last week of the month. They will be swamped. F) We are riding at least six days a week, if you need miles for training just check out our website, teamevesham.org . This coming Saturday, September 12 there is a special Team Evesham event. We are going to Hammonton to the Red Barn for delicious pancakes. The round trip is 43 miles and we will split into two groups. This event has a limited number of spots still available. Please email lori@teamevesham.org to reserve your spot. All riders must be back from the red barn by noon. G) On Thursday, October 1, we will host a happy hour for team mates prior to the MS event. Save this date, our location will be announced later. H) At our team tents there is much to accomplish so we always welcome any members of your family who may want to assist us directly. You can advise me if you have any candidates for our tents in Cherry Hill and Ocean City. Please email me, sandys@teamevesham.org if your family members can spare a few hours to assist us on Saturday, October 3. If there are any remaining questions or comments please email me directly. There seems to be some confusion with deadlines and when you need to turn in your money for the City to Shore event. I will admit that the MS Newsletters are very confusing. A) You must have a minimum of $300 turned in to the MS Society by October 3 if you are going to ride. If you turn in your money on ride morning, (October 3) you will have to wait in a very long line at the start point. B) You can not get a number unless you turn in the minimum amount. C) If you want to be a VIP Rider (over $1000.00) you have up until October 31, to submit all of your fundraising. D) VIP riders get a special jersey and the MS Society will mail it to you if you raise the additional funds by October 31. E) If you have already raised the minimum your number will be mailed directly to you provided you have raised the minimum of $300.00 by August 31. F) There was a special early opportunity to get along sleeve T Shirt but you needed to turn in your money by August 1 for this benefit. G) MS wants you to ride so rest assured you can pick up your number from the MS Society at any time, their office is in Center City Philadelphia. Two other quick items, please be certain that you have your blue Team Evesham Jersey, they are available at D&Q in Cherry Hill. Don’t wait until the week before the ride. You can also get a free bike inspection at D&Q for the ride. We are going to have a pre-ride get together, this will be held on Thursday, October 1, at a location to be announced shortly. We will update you on more items as we get closer to the ride. If you have any other questions please email me, sandys@teamevesham.org. I just want to thank you all for signing up to ride with Team Evesham. For the past four years we have been the largest Friends and Family Team and we have been in the “elite” category of a top fund rraisingteam with over $100,000 raised every year. In the past six years this team has contributed more than $550,000 to the Phildelphia Chapter of the MS Society. A few quick reminders, Team Evesham has daily training rides just about every day during the week. Some of our rides start at 5:30am so you can start off your work day on time but still ride with us. We also will offer a few additonal enhancments to our team but more about that later on. If you are new to cycling and this event please to come out and ride on our training events, see http://www.teamevesham.org for more specific times and places. We have exceptional team leaders so we can help you train, learn group rding skills, and prepare you for this cycling expereince in October. If you need a team jersey please go to our offical supplier, Danzeisen & Quigley, 1720 E. Route 70, Cherry Hill NJ. 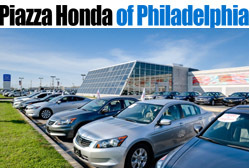 The store is located at Route 70 and 295. If you need you need any other equipment or repairs this place is a top rated cycling store each and every year in the industry survey. Great people who truly will make your bike better work here. 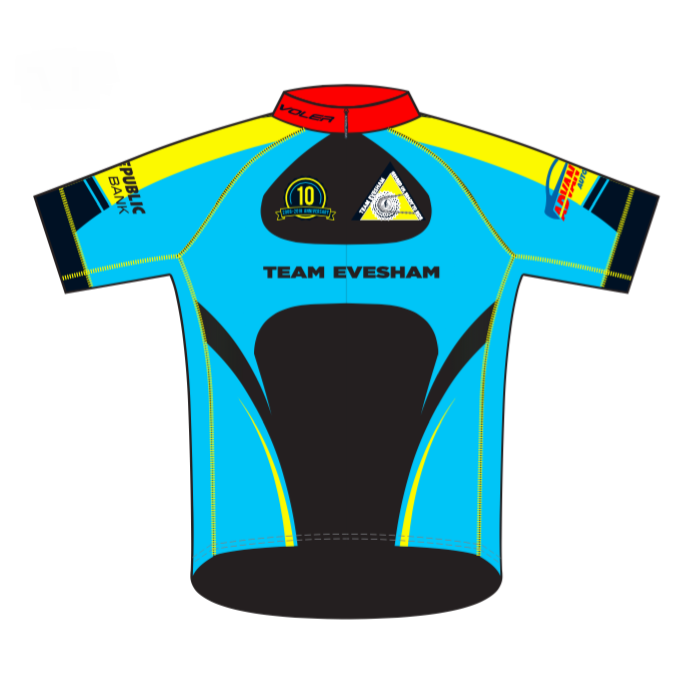 All riders should wear the offical blue Team Evesham jersey for the event. Get your today. We are in the process of finalizing team housing for this year, please contact Lori Emma, (lori@teamevesham.org) if you are interested in securing a room in Ocean City on Saturday night. Cost will be determined based upon how many riders we have. In the past this has averaged about $75 per person for the evening with full linens and breakfast included. If there are any questions that you have please reach out to us at any time and for you new riders please go to teamevesham.org and “join” us, we will send you our weekly recap and all the happenings for the team. We do not automatically enroll you once you sign up to join us for the MS City to shore event. Your cycling enjoyment, safety, and meeting new friends are vital to our growth. Thanks for riding along with us.